This year, after a 4-year break I am taking part in NEOS again! For those not familiar with this event a very abbreviated explanation. 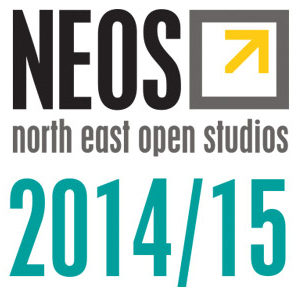 NEOS stands for North East Open Studios and is normally held in September for about 9-10 days. Traditionally artists open up their studios to the public to let the public experience the atmosphere in their studios, share their skills and knowledge and just socialize and show their art. Occasionally some demonstrations and talks take place too. It is a great opportunity for the public to meet the artists and vice versa. My studio will also be open this year from September 6 to 14 and I would like to see as many of you as possible so I can share my art with you! For further information and opening hours please, consult the following link www.northeastopenstudios.co.uk , where you will find all the information you need under my name. Looking forward to welcoming you in my studio!